Michael Crowder has painted the insides of Wade Wilson Art dark blue. I heard this is the first time that the gallery has done an installation like this. But aside from the paint on the wall, the exhibit is fairly standard--things hung on the wall, things on pedestals or in vitrines. 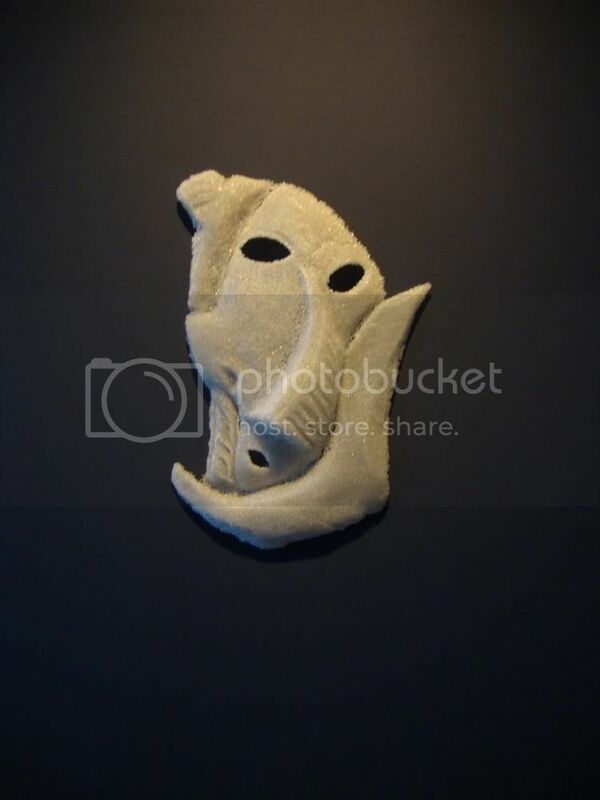 Because all the objects are white and somewhat translucent, they have a strong visual presence against the dark walls. Crowder is steeped in art history--much of this work falls in that dreaded category of "art about art." Sometimes this kind of thing comes off as mere masturbation, but what is important (to me, at least) is how the work feels on the wall. Is it beautiful or interesting or dull? That's how I approached Crowder's work as a viewer. Hmmm... Those faces look familiar, don't they? 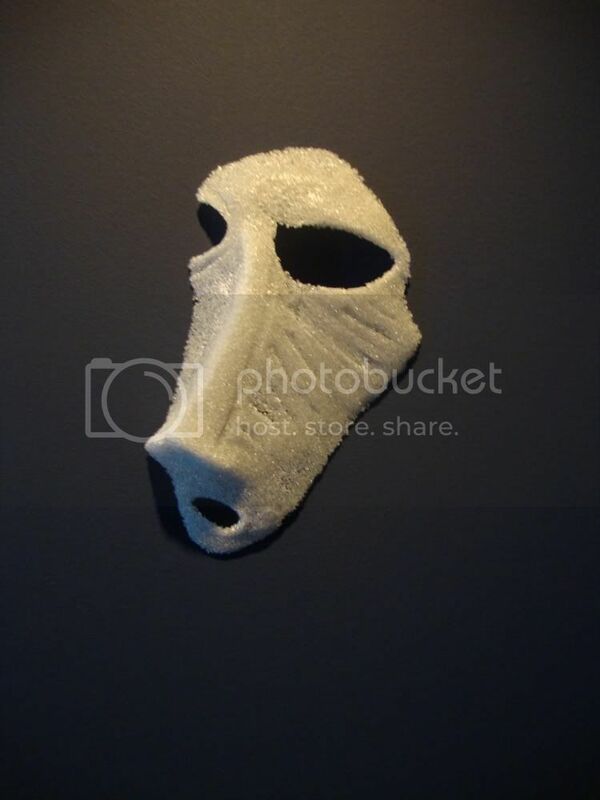 Picasso was influenced by masks he saw at ethnographic museums, and Crowder's title for this piece pretends that these luxurious glass faces are in fact taken from an ethnographic museum of some sort. Very clever, Mr. Crowder. A lot of what Crowder does is dada-ist decontextualizing. For example, there could be nothing more useless than a glass bicycle tire. The way it is hanging reminds me of what you see when you walk into a bicycle shop--in short, not only has he made it useless by making it glass, but he has depicted it in a useless posture--hanging loose on a wall. It's a tire waiting for the chance to be installed onto a bike and ridden. 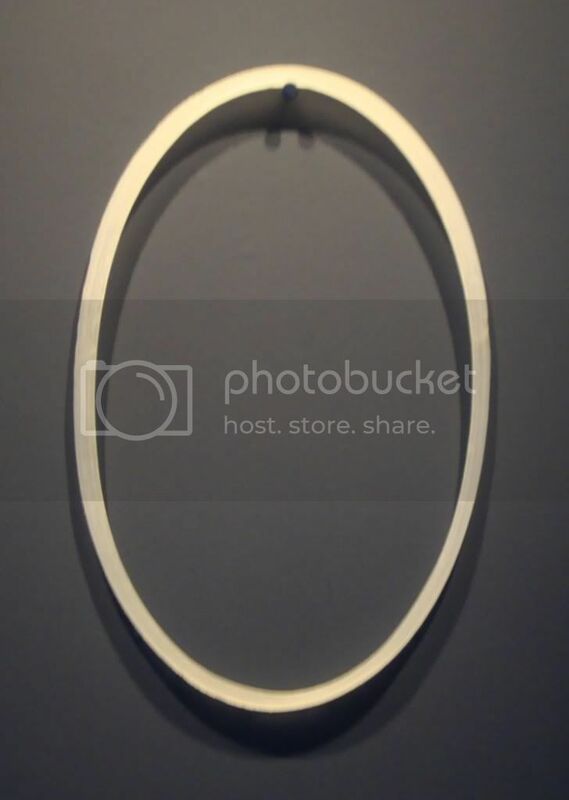 But as an object, a brilliant white glass ellipse is just as beautiful as a circle, whatever its utility. 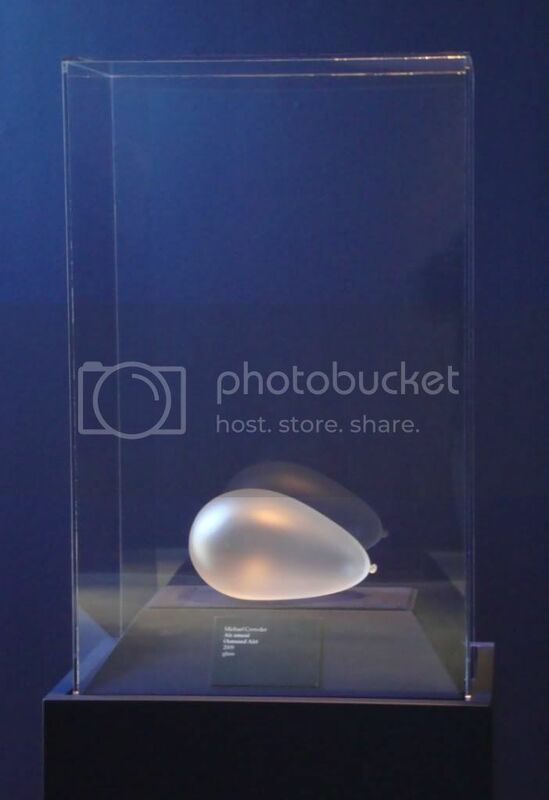 This glass balloon is maybe as fragile as a real balloon, but with care and a good display case, it will never deflate. Sometimes you see balloons made of pearlescent latex, which is what this looks like. 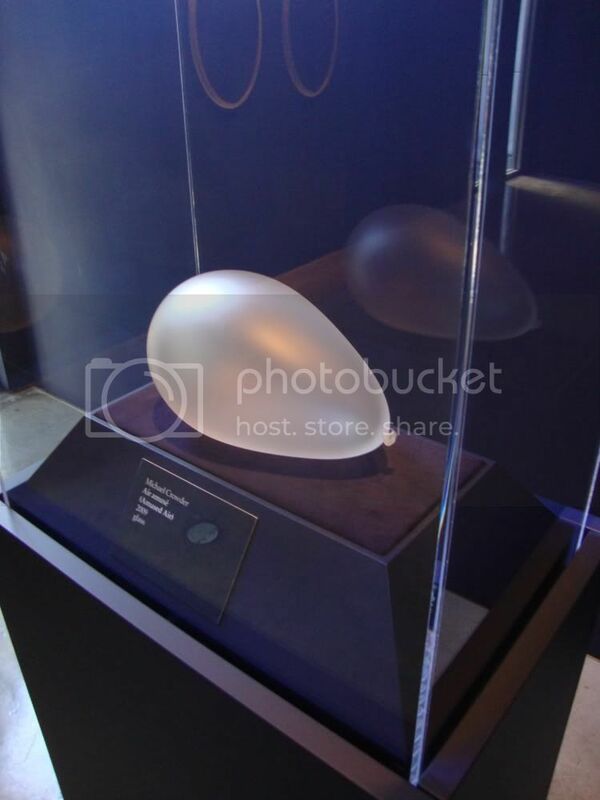 In fact, because it's in a glass case, you can't be certain that it isn't latex. The ambiguity is sort of a bonus on top of the beauty of the piece. Crowder's work is ironic, delicate and elegant. It exudes wealth. And it is beautiful to look at.